‘Healthwatch’ are independent organisations that advocate for consumers on the provision of health and social care services. 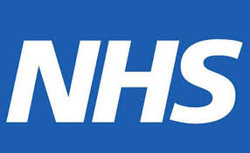 They do this through collating information from users of health and social care services and voicing their concerns to key players such as NHS England, the Care Quality Commission and Local Authorities (LAs). Healthwatch have statutory powers to require that these organisations respond to their concerns and advice with written justification for their decisions. The Healthwatch network consists of the national body, Healthwatch England, and independent, local Healthwatch organisations. The local Healthwatch organisations will collect the views and concerns of local populations and pass this feedback on to LAs, service providers, as well as to Healthwatch England. Healthwatch England will then use this information to influence national policy, advice and guidance. Local Healthwatch organisations can also provide people with information about their choices when they need medical and social care services, and what they can do when things go wrong with these service providers.